Politician. Born: July 17, 1817, Uniontown, Ohio. 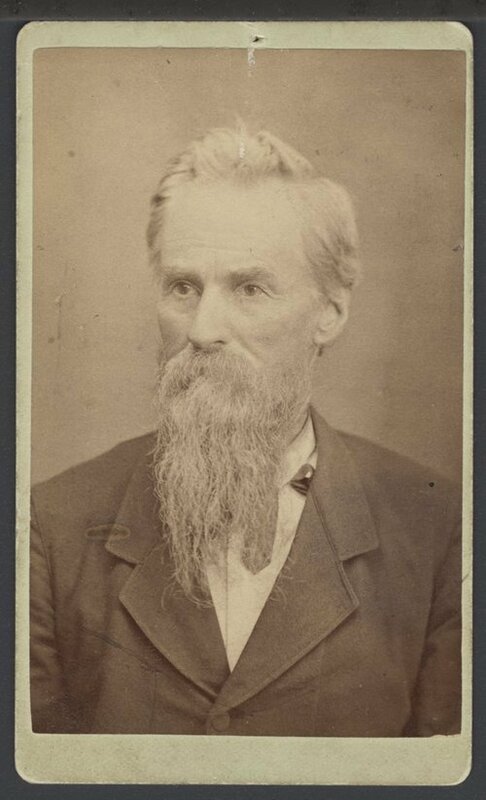 Died: August 31, 1887, Topeka Kansas. One of the Wyandotte convention's leading radicals, John Ritchie (or Ritchey) was born in Uniontown, Ohio, on July 17, 1817. He married Mary Jane Shelleday, a Kentucky native, at Franklin, Indiana, on January 16, 1838, and they started a family there before moving to Kansas Territory in 1854. In addition to farming and real estate development in and near Topeka, Ritchie became a political leader in his community and was selected to represent his locale in both the Leavenworth and Wyandotte constitutional conventions. Notably, at the latter, Ritchie sought to omit the word "white" from the final document and advocated for women's rights-on the second day of the convention, Ritchie moved "that Mrs. [Clarina] Nichols be heard in behalf of the ladies." Recognized as "the Radical of Radicals, the Extremist on all points par excellence," Ritchie was described by the Daily Times as "an ultra Abolitionist, woman's rights man, teetotaler and general advocate for reform," who looked "eagerly and earnestly for the ultimate redemption of mankind from all oppressions, abuses and vices, of whatever nature and kind." He was actively engaged in the cause of the Union throughout the Civil War, holding commands in both the Fifth Kansas Cavalry and the Indian Home Guards, and became one of the capital city's leading benefactors in the postwar decades, until his death in Topeka on August 31, 1887.